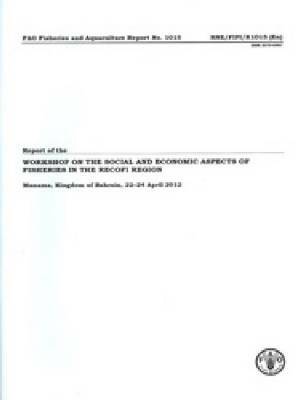 The RECOFI Workshop on Social and Economic Aspects of Fisheries in the RECOFI region was held in Manama, Kingdom of Bahrain from 22 to 24 April 2012, following the agreement at the sixth session of the Regional Commission for Fisheries held in Rome from 10 to 12 May 2011. The meeting was convened by the RECOFI Secretary. The meeting was attended by 18 delegates from four member countries and two observers, as well as the RECOFI Secretariat. The workshop discussed the social and economic aspects of fisheries in RECOFI, reviewed the availability of data on the socio-economic statistics, analysis work and other relevant research activities in member countries and formulated a RECOFI action plan for regional cooperation in assessment of socio-economic aspects through identifying regional socio-economic indicators to be used at both national and regional levels.